Apparently I am really into baked goods right now. Oh wait, that's all the time. 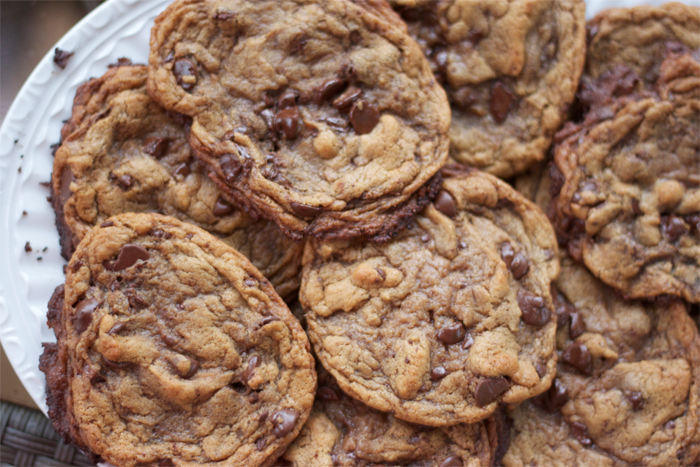 These cookies… I can't even. THESE COOKIES, Y'ALL. I firmly believe the gloriousness of these cookies comes from two things. a) mixing the batter together for seven solid minutes in my kitchen aid. I feel like it caramelized them, or something. b) Honey roasted, store bought, peanut butter. You know, like Jif, Skippy, or whatev. Do not make your own peanut butter, or buy natural peanut butter, that is just nuts and nothing else. Honey roasted is where it's at. 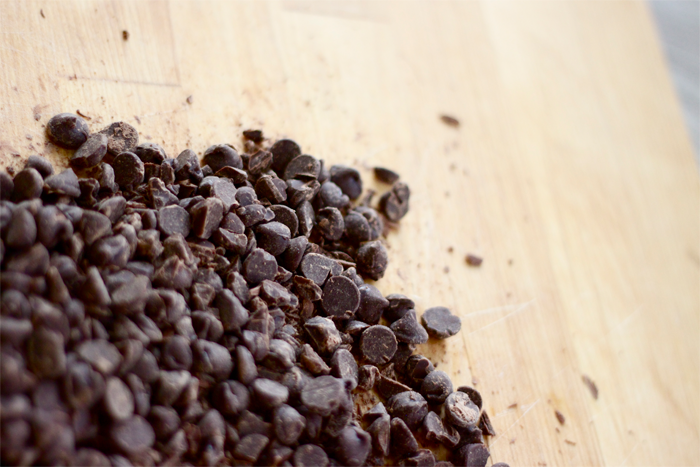 I wanted to chop my chocolate chips up because I think the idea of chocolate chunks is much more delectable than chocolate chips themselves. I chopped for sixty seconds and then was over it though. 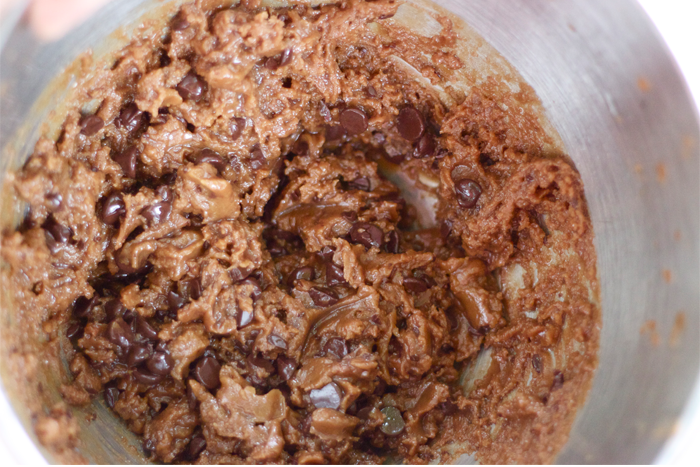 1) In a mixer, combine peanut butter, brown sugar, egg, and vanilla. Beat on medium-high for seven minutes. 2) Add in baking soda and mix to incorporate. 3) Add in chocolate and mix to incorporate. Don't over mix or you'll break down all your chocolate chunks. 4) Make 2 tablespoon sized cookie dough balls, cover with plastic wrap, and refrigerate for 2+ hours. 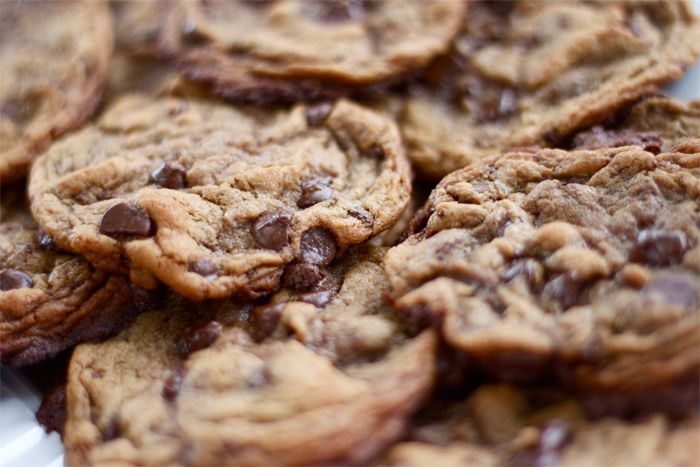 5) Preheat oven to 350 degrees, spray your cookie sheets, and bake for 8 minutes. They might not look like they are not done but, trust me, they are. The outsides will just be set and the insides will be mushy, just the way they should be. Let sit for 5-10 minutes before moving, or consuming, if you can help yourself. holy heck, those look great! Definitely a recipe I would like to try out someday! mmmm these look like they would just melt in my mouth on the most delicious way possible. Yes! I have made these and I totally agree, holy yum. Wow, these look amazing! 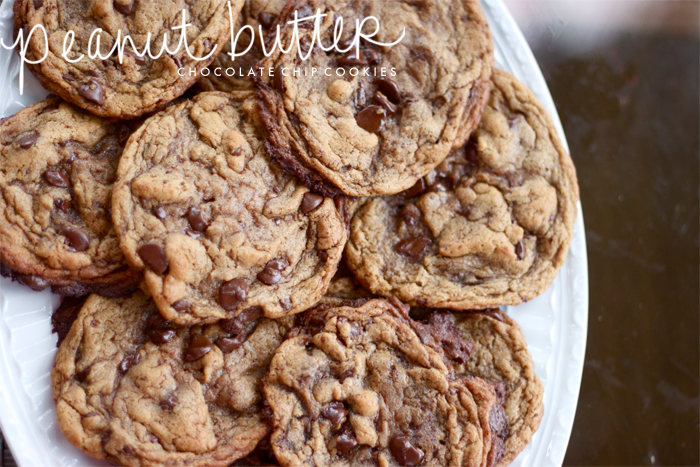 I have peach cobbler in the oven right now or Id make & bake these this minute:) The cobbler is for a lunch we're having with friends in an hour but Im thinking these cookies will be perfect for our back to school lunches next week. Thanks for sharing! gooooooooossssh. now i have to make cookies. can't believe those are flourless!! these are most definitely happening today. so thanks for that. Yum. Holy Moly those look delicious! Those look AMAZING. I don't bake much but I just might have to bake these! Thanks for the recipe!! Those look delicious! I will definitely be making them! happy dance indeed. BEST COOKIES EVER.